In the last few years in the nautical sector, the requests of yachtsmen and ship owners, for having natural light on board is increasing, and has led to a conversion from the use of plexiglass to glass. Faced with the new market needs, Veneto Vetro overhauled its equipment with state-of-the-art machinery that allows it to diversify the manufacturing processes and create customized solutions for its clients. We follow every phase of the production cycle at the request of our partners, and this allows us to make any required improvements to projects. We produce flat and curved glasses for both small and large boats. Some of the characteristics of glass, a resistant but above all versatile material, combined with the professionalism of our experts allows us to satisfy what has become one of the trending demands in the nautical world. One of the advantages of using glass is to radically increase of the amount of light on board, which creates a connection between the exterior and the interior. 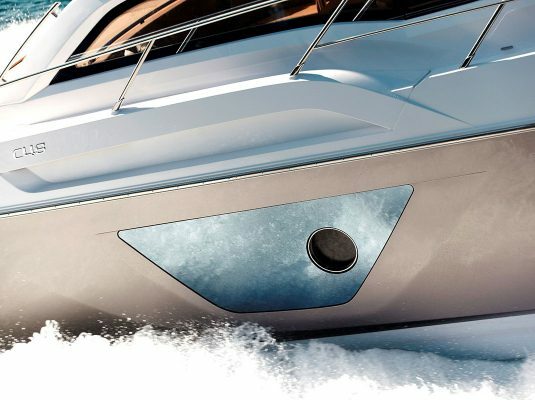 The dynamic curvatures and the use of quality materials make it possible to create an environment on the boat that is functional and aesthetically harmonious. The processing to which the glass is subjected guarantees the acquisition of a reliable product that meets all safety standards and technical requirements. In the production phase, the glass, depending on the type of use, are subject to specific treatments that ensure their resistance to thermal excursions, to wind and water pressure and to corrosion. Glass can be tested at our factory to verify their mechanical resistance in the presence of Naval Registers supervisors. Windscreens: Glass is processed in such a way as to guarantee complete visibility and resistance to thermal changes. Flat and curved screen-printed side windows: to make them extremely resistant, we coat the surface with enamel using silk-screen frames that reproduce a decoration. Bulwark glass: In addition to increasing the natural light on board, they control sun rays and create symmetry from an aesthetic standpoint. Walk-resistant non-slip glass: They are ideal for their visual impact and are processed in such a way as to guarantee stability and safety. Tempered glass laminated with pvb or sgp: They are subject to a special treatment that involves heating until reaching the softening phase, and then abrupt cooling.